Our intensive conditioners are enriched with Brahmi, Henna, Jojoba Oil and coconut milk leaving hair glossy and smooth, lightly scented with Rose Absolute essential oil. 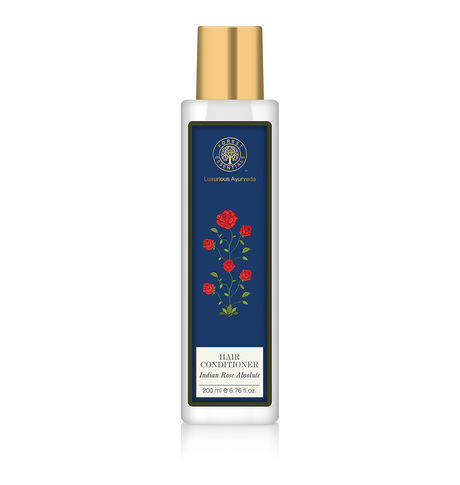 This Indian Rose Absolute Hair Conditioner contains Almond and Jojoba oil along with Coconut oil derivatives provides nourishment in the form of essential vitamins, minerals and fatty acids. Herbs like Hibiscus, Brahmi and Henna are amongst well known herbs in Ayurveda for hair health, improves softness and manageability of the hair.